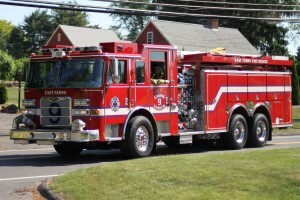 Engine-Tanker 9 is a 2005 Pierce Arrow XT with a series 60 Detroit Diesel Engine, 515hp @ 2150 rpm. It is equipped with a “world” Allison transmission. Overall length is 35′ 2”. The Gross Vehicle Weight is 66,800lbs. E9 has 2,000 gallons of water, 25 gallons Class A foam, and 25 Gallons of Class B foam with a pump rating of 1,500 Gallons Per Minute. Engine 9 is first due to activated fire alarms, structure fires, chimney fires, appliance fires, vehicle fires, bomb threats and is part of the Task Force 54 Tanker Strike Team. 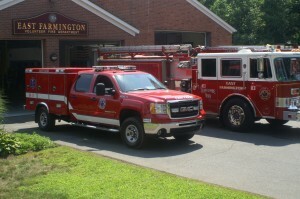 Engine 10 is a 2012 KME Predator with seating for seven (7) fire fighters. It is outfitted with a Maxxforce 13, 12.4 Liter, diesel, dual Turbo-Charged Engine, 475hp @ 1,700 rpm. It has a 750 gallon water tank, two 30 gallon Class A and Class B Foam Tanks, two simo hydraulic power units, a telescoping light tower, a 25,000 kw generator, air tools, a 300 lb speedy dry hopper, Res Q Jacks, a portable winch and much more! 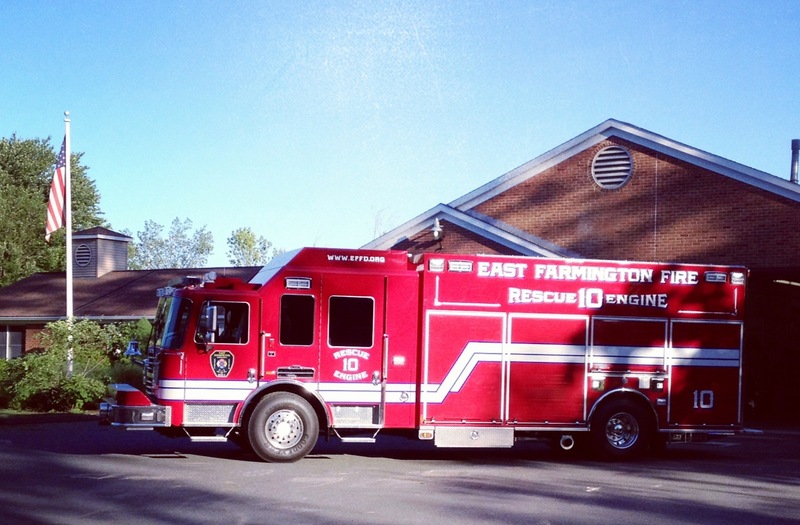 Engine 10 is designated as first apparatus out for motor vehicle accidents, hazardous materials incidents, dumpster / brush fires, plane crashes, wires down, building collapse, water emergencies, carbon monoxide alarms, helicopter / Life Star landings and is a part of the Task Force 54 Activation Team. Medic 11 is a 2008 GMC Sierra 3500 Crew Cab with SWAB climate controlled compartment boxes, 4-wheel drive and outfitted with a Whelen LED light package. Medic 11 is first due to medical emergencies and is the primary vehicle to tow the department’s water rescue boats and Fire Safety Trailer.